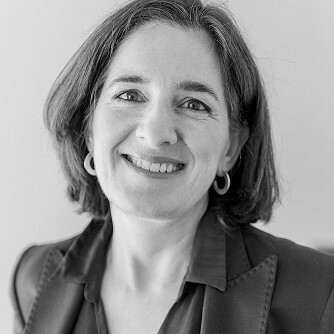 Beitrag von Mònica Feixas, Lehrbeauftragte am ZHE, PH Zürich, und Professorin an der Universitat Autònoma Barcelona (UAB). How do we foster creativity in an educational system defined largely by conformity, standardization, and hyper-specialization? How do we create a strategy for guaranteeing that innovation and creativity flourish in our university? How do we use creativity in meaningful ways to explore new possibilities for ourselves and for society? These questions do not have short answers but are worth contemplating (as we will also do in our half-day conference on «Creativity in Learning – Revolutionizing Teaching through Design Thinking»). or reactive (getting more of the same old, or worse). Teachers are always learners, too: We always are getting feedback about how our activities foster the learning of our students. The question is, do we act upon this feedback in a subconscious way, on autopilot? Or do we deliberately seek to improve upon it? The latter can be called «learning by design». In my opinion, this is the preferred way towards getting better at our work – for ourselves and for the students. Creativity: You don’t have to be a designer to think like one! Thus, you don’t have to be a designer to think like one. You can think like a designer and design the way you teach, assess, create and innovate. If you are mapping out a strategy, you are already designing! Design thinkers are not necessarily created only by design schools. According to Tim Brown (2009), many people outside the professional design sphere already have a natural attitude for design thinking. Moreover, creativity and design thinking can be triggered with appropiate training. Creativity is not the province of geniuses and artists, but a practical life skill. It can be nurtured in everyone from an early age through formal education, also in Higher Education. According to Sir Ken Robinson, «creativity is as important in education as literacy and we should treat it with the same status». Creativity is the result of hard work and commitment to solving a problem. Creativity involves both divergent and convergent thinking. Creativity normally occurs incrementally over a long period of time. Creativity is a directed, intentional, rational process. Although creativity is largely domain-specific, cross-fertilization can enhance creativity. There is no creativity gene and creativity doesn’t occur in just the right half of the brain. Rather, it involves basic psychological and social processes put together in novel and complex ways. Imagination (i.e., the ability to form new images and thoughts not available through the senses or not possible in conscious reality) occurs at the individual level (in the mind). Innovation (i.e., implementing a new idea or product into a group or society) occurs at the social level. (E.g., this is why there seldom is one single inventor of an important technology. Accordingly, James Watt is not really the inventor of the steam machine). Most teachers also tend to associate creativity with the arts and humanities and not so much with science, technology, engineering and mathematics (STEM fields). However, creative teaching and learning can be tailored to every subject and the challenge for educators is to nourish and develop people’s natural creativity, not stifle it. One way of cultivating creative learning across disciplines in higher education is to include it in the curriculum’s learning goals. 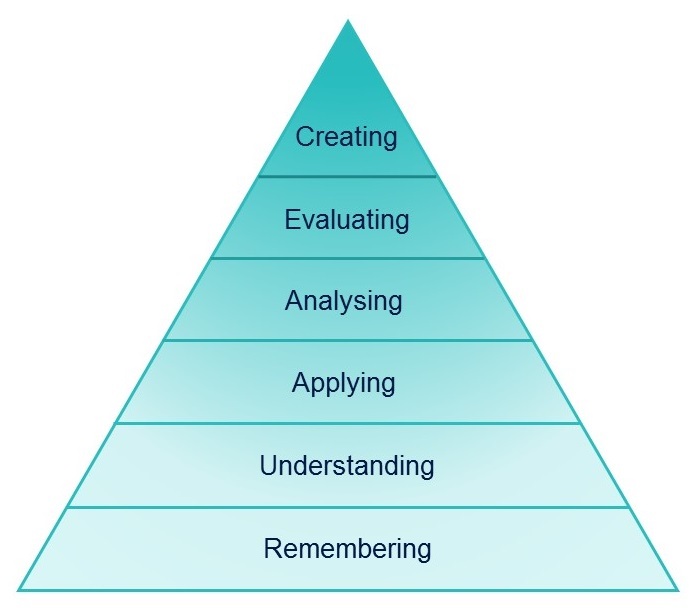 In the revised Bloom’s taxonomy of learning objectives (see graphic), creative learning is the highest-order thinking skill. How many higher education syllabi have learning objectives aiming at developing creative learning? and explore the ambiguities and tensions that may lie between them. Identify the problem or opportunity. Acquire knowledge and skills relevant to the specific problem. Acquire a broad range of knowledge related to the problem (see the overlaps and relationships across domains; us analogic thinking; apply concepts from related domains, generate a variety of ideas). Allow time for deep reflection. 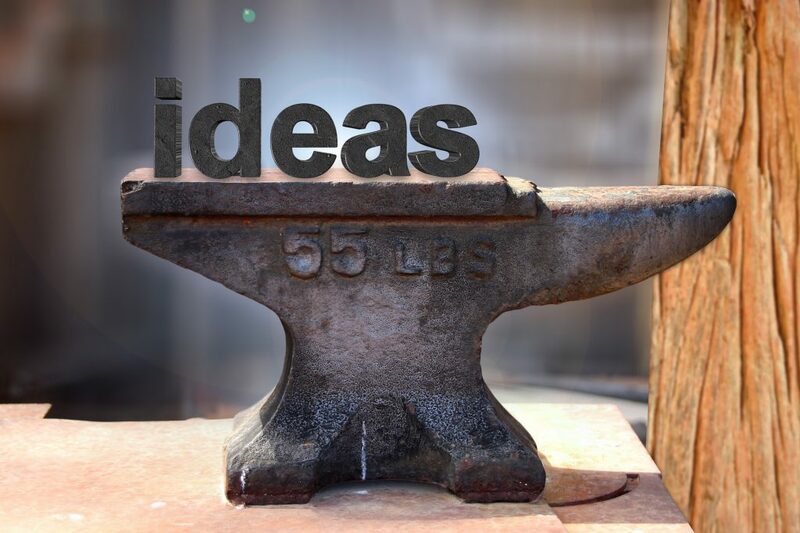 Generate a variety of ideas. Combine ideas in novel ways. Select meaningful ideas based on feasible criteria. Externalize, test, evaluate, and refine the idea (imagine how to implement it, identify resources needed to implement it, predict the possible reactions, determine how to test, evaluate, and refine it). Sawyer’s stage model can be an inspiration for designing learning activites – as mentioned above – aiming for creativity. This blog post focuses on the importance of creativity as a learning goal. A second part has appeared in December and discusses design thinking as a roadmap for creative learning, innovation and transformation – including a video message by Suzi Jarvis and Colman Farrell! Conference: Creativity and design thinking are the focus of our short conference (Kurztagung) «Creativity in Learning. Revolutionizing Teaching through Design Thinking». Our guests are Suzi Jarvis and Colman Farrell from the Innovation Academy, University College Dublin. Date: Thursday, January 19th 2017, 13.30-17.30 at the campus of the PH Zürich. For more informations and registration, see the conference page: www.phzh.ch/zhe-kurztagung. die Geschichte zu „James Watt an his teacher“ habe ich aus einem Metalog von Gregory Bateson abgeleitet. Der Metalog stammt aus dem Buch „Die Ökologie des Geistes“. vielen Dank für diese Präzisierung, Andreas! und natürlich Peter Kruse mit dem Zusammenspiel von Owner, Creator und Broker https://www.youtube.com/watch?v=FlPh0Z39Fqg – die Idee dahinter ist den Kortex des Hirn „nachzubauen“. Thank you very much for the didactical video. In fact, learning is a transformative process developed by observing, examining, reflecting, sometimes testing, and developing new designs and ideas = creating. I agree, creation is not meant to be something entirely new, but it also exists when something which may have been done elsewhere is for the first time done in a different context, is done differently or serves for a different purpose. The teachers’ attitude of tentativeness and adaptiveness is part of their creative mindset and it’s important that it can be translated into sound teaching practice. Enjoyed your article, hope you write about the second part.